Taste the real flavors of Spain and learn how to prepare traditional Spanish dishes with a local chef in Madrid. 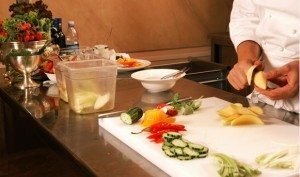 Whether you’re a cooking enthusiast or a culinary novice, you’ll enjoy the hands-on experience of this private Spanish cooking class. Why not take half a day to learn the original recipes of classic Spanish dishes? 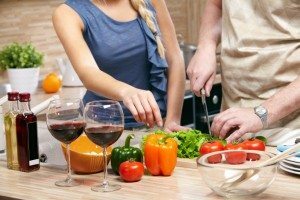 Learn the secrets of Spanish cooking during a private Madrilian cooking class in a private house. In a very special and emblematic madrilian neighbourhood ;was the Jewish and Moorish quarter outside the city walls until they were forced into exile or conversion in 1492. The area then became Madrid’s working class neighbourhood for hundreds of years and largely fell into decay until artists began to fill its abandoned houses in the 1980s and 1990s. Since then, an inevitable gentrification process has occurred and is zooming ahead. It’s now a multicultural, bohemian neighbourhood, full of bars, galleries, classic restaurants and cafés. Start with a guided walking tour of an authentic Spanish market, founded two centuries ago, where you will get insight to the local market life and discover the essential ingredients of Spanish cuisine. 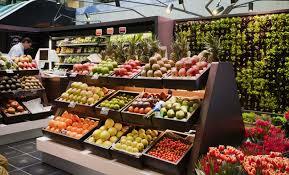 Your private chef will show you how to find and appreciate high-quality food. Then head to the chef’s private workshop to prepare an authentic Spanish banquet! Find out the secrets for cooking perfect paella, gazpacho, and learn how to pair the delicious food with wine. Chef´s creation of the day ! The class is individual, and especially designed, just for you! The venue is a small, private professional kitchen, perfectly equipped, and very well located. It´s right in the heart of the charming pedestrian quarter. From : 360*€ for up to two people. Additional participants at a cost of 80€ each.